One of Leonardo da Vinci’s priceless masterpieces of a Renaissance noblewoman, lost for centuries, found in 2013, then lost once more until being rediscovered this summer. Finally Italian and Swiss police were able to reclaim the lost painting upon discovering of “advanced stage” negotiations to sell it. 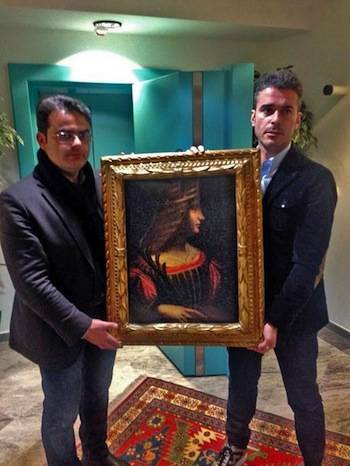 According to Italian art police, Leonardo da Vinci’s 61cm by 46.5 cm portrait of Mantua Marchesa Isabella d'Este dating back to the early 16th century, has been recovered from a Swiss bank vault recently (located in Lugano near the Italian-Swiss border), after what they called a “long and complex” investigation. analysis, determining it’s authenticity. Though not all experts are convinced of its legitimacy and further tests will be done to confirm it is truly the work of da Vinci. One of those unconvinced is one of the world’s chief art experts, Martin Kemp, who has doubts of the oil painting’s authenticity. However, after Italian and Swiss police were informed of the “advanced stage” negotiations to sell the masterpiece for about 120 million euros, they finally seized the painting. 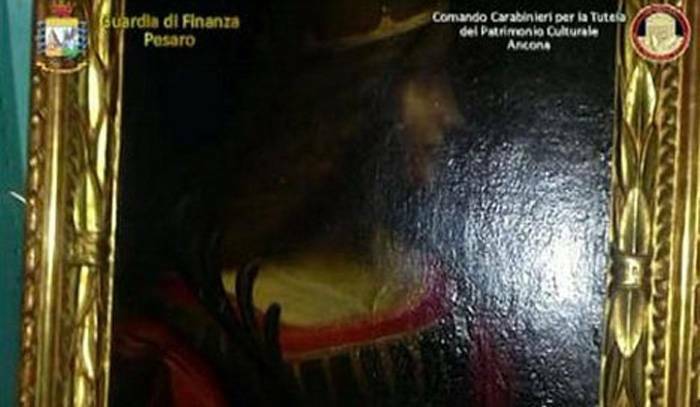 Unnamed suspects are being questioned under accusations from police from Nucleo di Ancona of illegally exporting artworks as well as for insurance fraud. Born April 15, 1452 just outside of Florence, two of da Vinci’s more renowned works include “The Last Supper” and “Mona Lisa”. Da Vinci was born to unmarried parents, but growing up with his father he was treated as a “legitimate” son. Around the age of 15, da Vinci took an apprenticeship under the distinguished sculptor and painter Andrea del Verrocchio and remained with Verrocchio until he began to work independently in 1478. “The Last Supper” was painted while da Vinci was in Milan from about 1495 to 1498. The painting is an illustration of the Passover supper with Jesus Christ and his Apostles when Jesus predicted one of his followers would betray him. This “Last Supper” is also when the first Eucharist took place. The “Mona Lisa”, possibly the most well-known painting in the world, was a privately commissioned project that da Vinci painted between 1505 and 1507. Today the masterpiece can be found, surrounded by bulletproof glass, in the Louvre in Paris. After a life as one of the most acclaimed Renaissance artists, da Vinci died in Cloux, France on May 2, 1519. The focus of da Vinci’s recently-seized portrait, D’Este, was not only a patron of the arts, but had an admired sense of fashion that was sought after not only by Italian women, but also the French nobility. D’Este was an influential woman of her time, considered by Diplomat Niccolò da Correggio to be “The First Lady of the World”. An original sketch of this oil painting is currently located in the Louvre Museum in Paris. Now that the D’Este painting has be found, efforts will likely continue to pursue yet another lost da Vinci masterpiece, “The Battle of Anghiari”.